Scuba Diving in Sabah is well on the way towards becoming one of the major attractions enjoyed by both local and foreign tourists alike. Divers travel from as far a thousand of miles away to experience the magical wonders of underwater charm. Sabah, part of the Malaysian Borneo, has proven to be a hotspot for marine bio-diversity, a major plus point for scuba divers looking to admire up-close and personal the sea’s various creatures. Sabah boast several dive sites all around the island. Some of these are highly acclaimed and regarded amongst scuba diving enthusiasts, with their blue waters, coral reefs and atolls. From diving with sea turtles in Sipadan Island to the pristine reefs and hammerhead sharks of Layang Layang, you’ll find whatever floats your boat in Sabah. And yet, there are still dive spots that have not been fully explored yet, all waiting for you to uncover. Spectacular opportunities for an amazing dives and liveabroads are abound! This tiny oceanic island has been acclaimed as the crown jewel of diving in Malaysia, and with good reason. Located 35km south of Semporna (less than an hour away), the island boasts a large variety of sea creatures and marine bio-diversity. Sipadan is blessed with a natural location which puts it smack in the middle of the richest marine habitat in the world, at the heart of the Indo-Pacific basin. The list of attractions are quite staggering, with more than 3000 species of fishes and hundreds of coral species. The island also boast unusually large numbers of turtles, which gather here to mate and nest. Sipadan boasts several dive points worth checking out, such as Barracuda Point, South Point, as well as the Turtle Bomb, and underwater cave with a labyrinth of tunnels which contains skeletal remains of disoriented turtles. Located approximately 25 minutes away to the north of Sipadan Island, Mabul is popular as the best muck-diving sites in the world. Muck-diving is one of the new approach to scuba diving, where visibility is very limited at shallow sites with sandy bottoms. This gives divers the opportunity to get in tough with the more bizarre and unusual marine life to be found. Mabul is home to a large variety of exotic small marine life, which makes it an excellent place to do macro dives – metallic shrimp gory, ghost pipefish, crocodile fish, snake eels, mantis shrimps and more, all can be found in Mabul Island. This is a truly magical site for macro-diving! Layang Layang Island, the Swallow Reef, is a tiny resort island located to the north of Borneo. This atoll paradise is a man-made island that was initially developed for the Malaysian Navy, and later reinvented as a dive resort. The island offers privacy and isolation, with pristine reefs, excellent visibility and steep walls all contributing to its status as one of the best dive sites in the world. The site offers some outstanding wall diving with various star attractions such as hammerhead sharks, triggerfish, manta rays, turtles and more. This island is a frontier diving destination located in the north east coast of Sabah in the Sulu Sea. Lanakayan Island offers several great options for scuba divers – they have a large variety of macro marine life for some excellent muck-diving that rivals both Mabul and Kapalai; excellent reef diving, with encounters with larger species such as the whale shark, leopard shark and marbled stingray; as well as the Lankayan Wreck, an excellent site for wreck diving. The Lankayan Wreck is host to a unique marine bio-diversity such as glassfish, harlequin ghost pipefish and painted frogfish, amongst others. 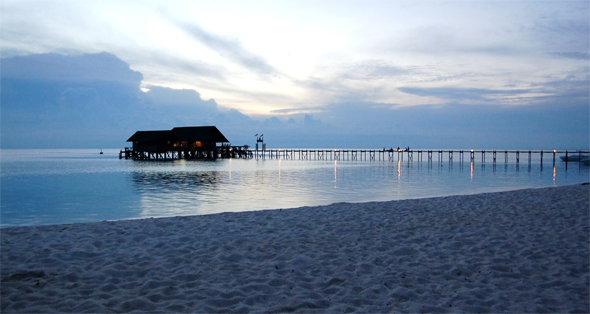 Kapalai Island is a village style island resort located between Sipadan and Mabul Island. 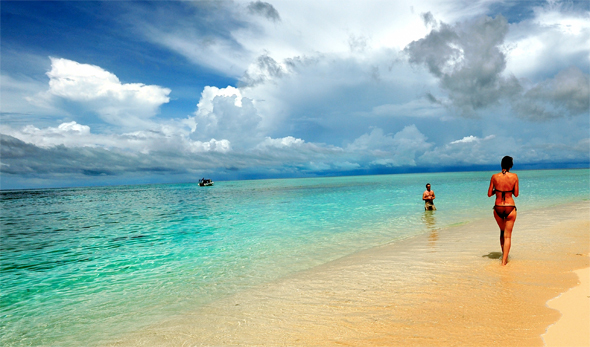 Sitting on top of the Liman Reefs, Kapalai Island is an extensive stretch of sand bar bordering the deep Celebes Sea. Although Kapalai is located near Sipadan Island, the scuba diving opportunities that one can find here are quite remarkably different. For a start, Kapalai offers crystal clear waters which allow guests to enjoy the view of squids, needlefishes and mandarin fish playing around in the shallow waters from right above their chalet-style resort rooms. 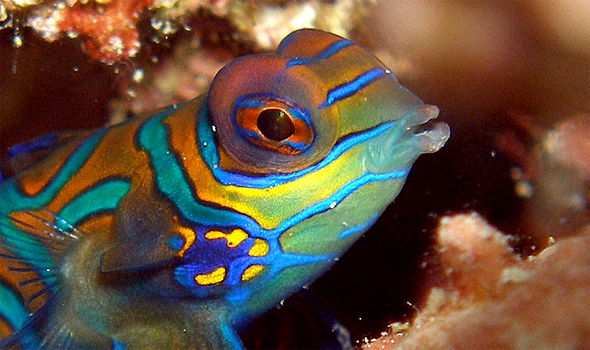 This is a paradise for macro-lovers, with rarities such as blue-ringed octopus, flamboyant cuttlefish, crab-eye gobies and sly ribbon eels among others.